Get the latest coupons and promotions from Tim Hortons When you sign up to get their email updates. You will be the first to know when they are available. Go here for Tim Hortons Menu. Go here for Tim Hortons Locations. Print coupon, buy one and get one free iced lattes. Valid at participating US restaurants. Present coupon in store and receive a free donut with any beverage purchase. Valid at participating US restaurants. See coupon for more details. 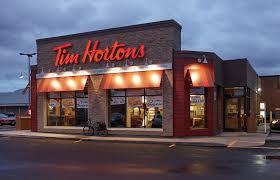 Tim Hortons offers coffee, doughnuts and more... across Canada and the United States. It is also Canada's largest fast food service with over 3000 stores nationwide.